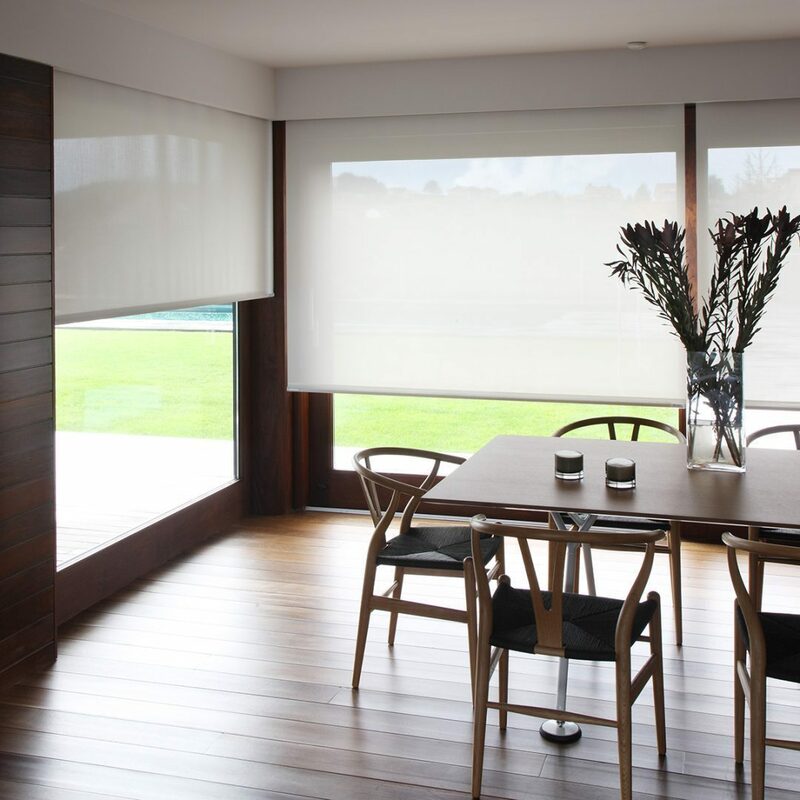 Ensuring maximum comfort and improving life quality through the development of environmentally sustainable products are two of the main objectives for which we work in Vertisol. 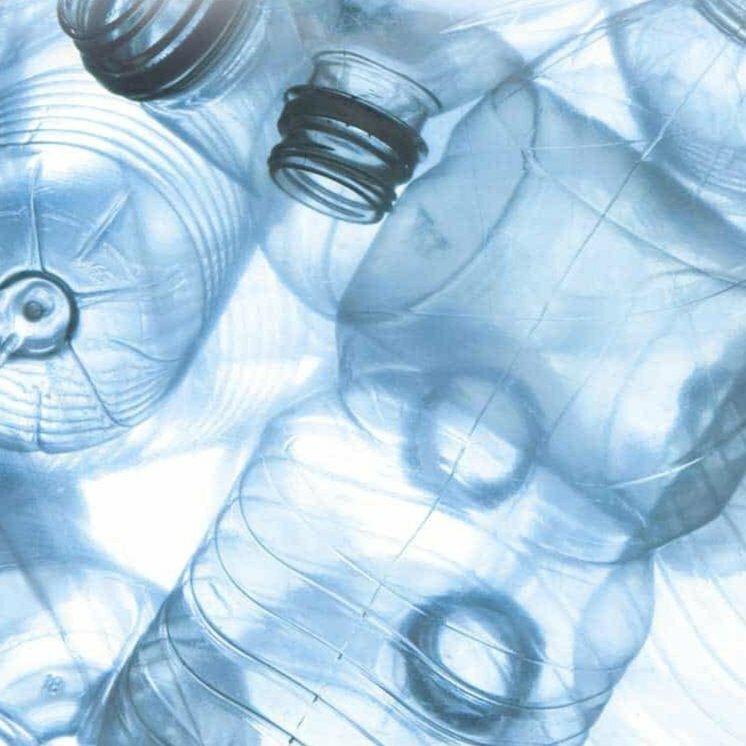 This is why we produce products such as Planet FR a plain and semi-transparent fabric made from PET (polyethylene terephthalate), a component used in the manufacture of bottles. 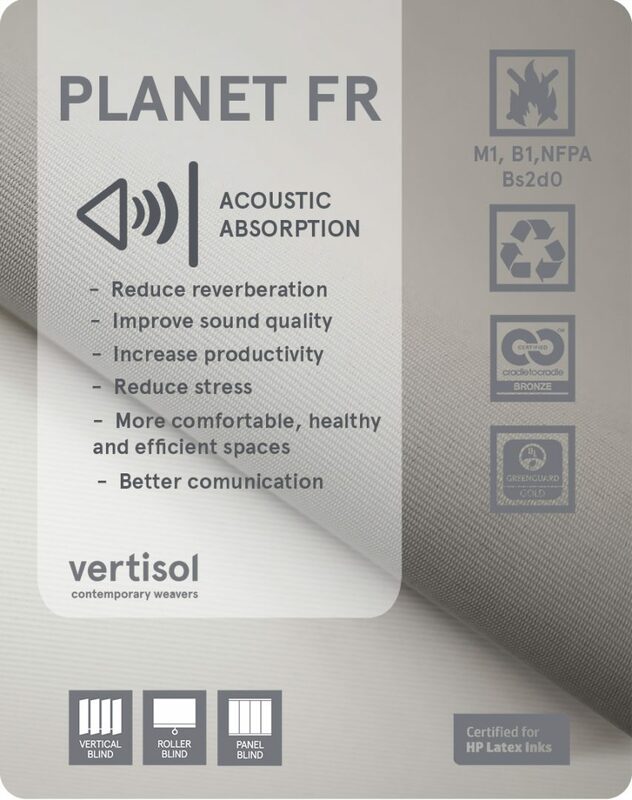 Another important characteristic of Planet FR is its acoustic absorption, which is vital in crowded spaces. Planet FR absorbs part of the circulating noise and dampen sound-wave propagation. The weighted sound absorption coefficient (αW) of Planet FR is 0.45 to 0.60, depending on the fabric installation. Produced from recycled PET and fully recyclable. One square meter is made from 6 thrown away bottles. Its thermal properties are listed in international databases (such as IDA ESBO, Edibatec, and BIM) and can be used to calculate energy savings achieved. See all colours available and technical specifications here.